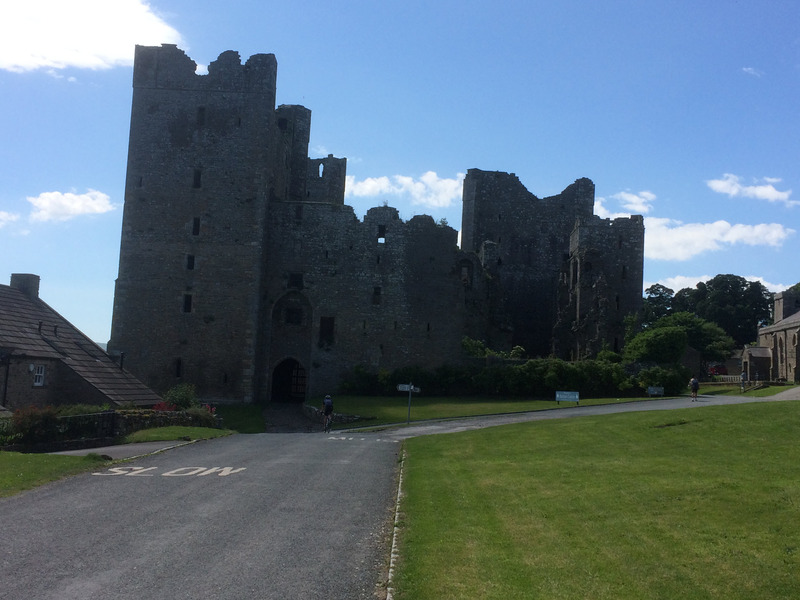 A beautiful June day. The sort of day which makes you wonder why you ever booked that holiday to Mallorca. 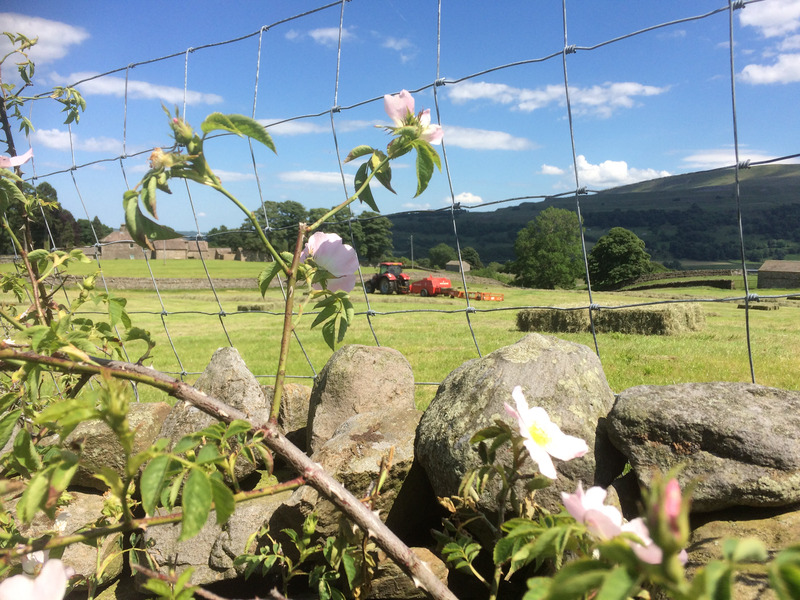 There can be no better place to be than the Yorkshire Dales when the sun is beating down, the summer flowers in their infancy adorning the roadsides and the cottage gardens beginning to explode into a riot of shape, size, and colour. 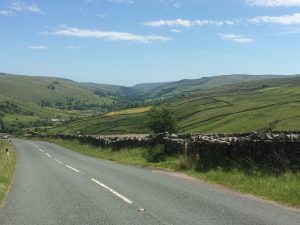 A bike ride was proposed; one that would encompass three of our glorious Dales and of course, involve four of our steepest, less glorious from the seat of a bike, hills. 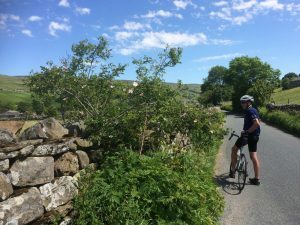 Our little party of two began in the tiny hamlet of Hawkswick, which lies in a hidden away in a corner of Wharfedale snuggled into the side of Hawkswick moor and flanked by the River Skirfare. Rarely do I leave on a cycling expedition without several layers and the obligatory raincoat. Today was an exception; the summer gear made a rare appearance and the most essential item of body cover was high factor sun cream. 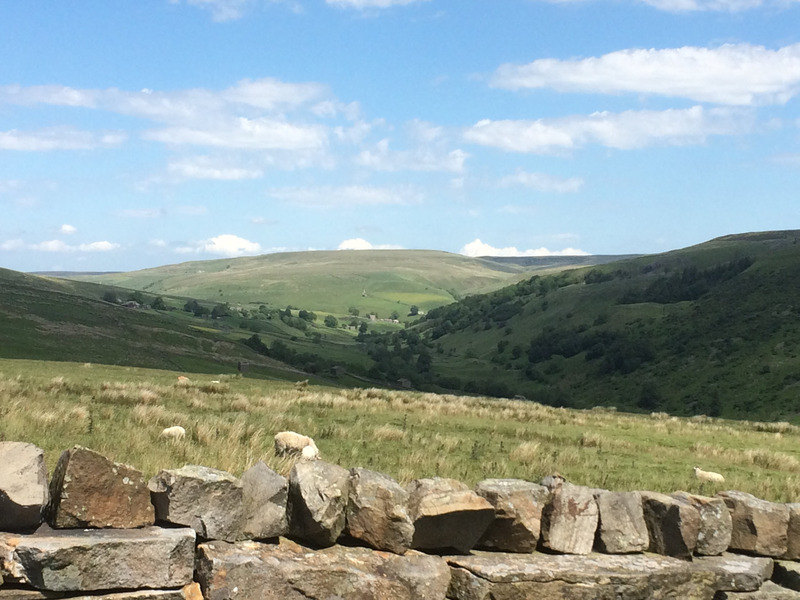 Our route took us through Kettlewell and along the valley to Starbotton and Buckden. 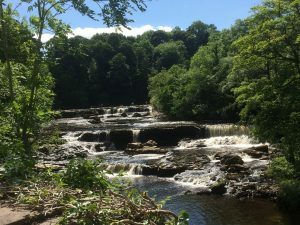 We took a left in Buckden and pootled along the deserted side road through the tiny village of Yockenthwaite with the River Wharfe on our right, host to some of the most amazing (mostly undiscovered) picnic spots in Wharfedale. Of course, the easy pedaling did not last long. 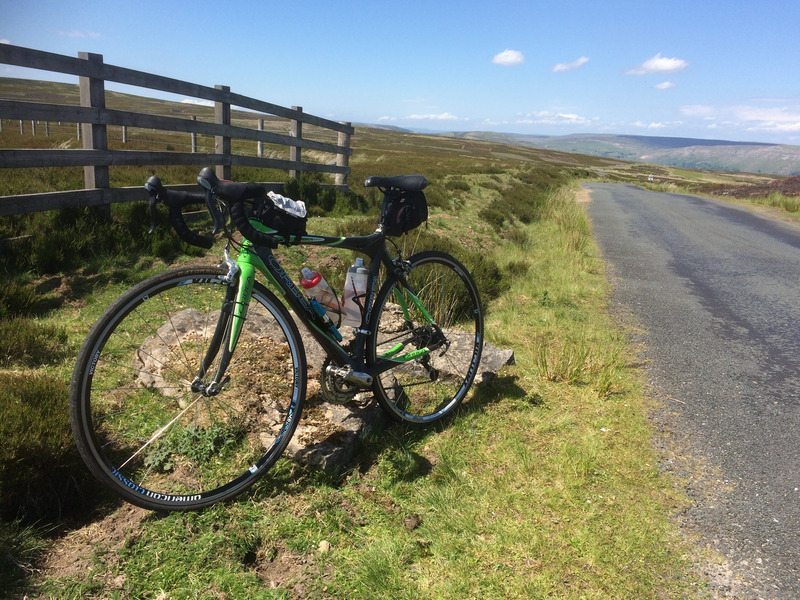 Ahead lay one of Yorkshire’s infamous climbs – Fleet Moss. 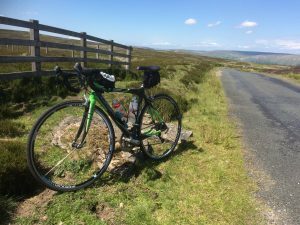 My legs began to question a training regime which hadn’t involved a bike for three weeks and as the first section rose steeply in an upwards direction I began to wonder if I’d bitten off more than I could chew. 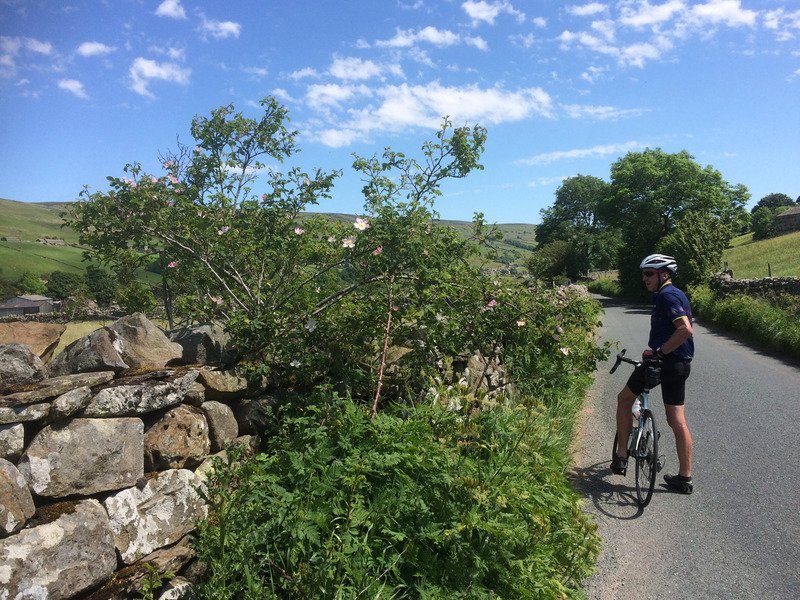 Cycling in the heat has it’s benefits – the downhill whizz creates a wonderful breeze but the uphill slogs seem to generate inordinate amounts of sweating and Tale End Charlie was once again proving to be worthy of the aforementioned title. 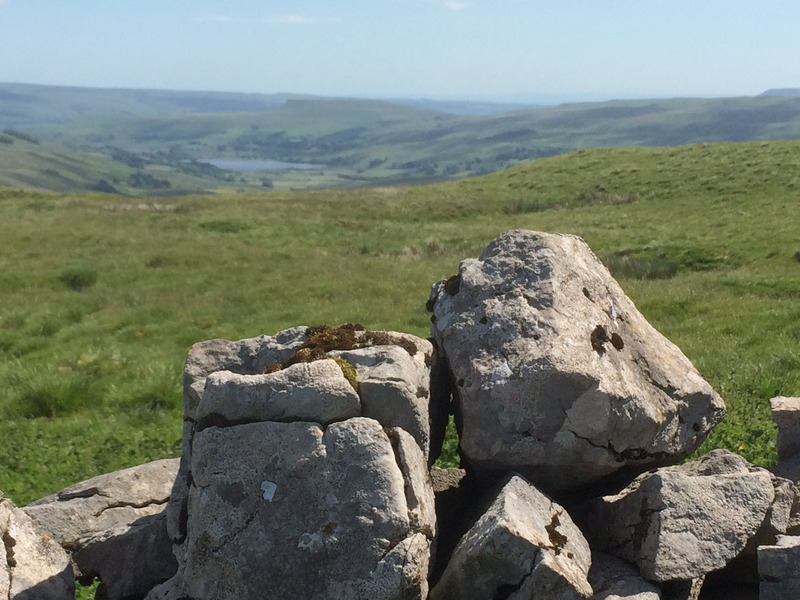 From the summit of Fleet Moss we could see, once the sweat had been wiped away, Ingleborough to our left and Semer Water to our right. Ahead lay the land of Wallis, Grommit and the most delicious cheese in Yorkshire. It was decided that sustenance was required so without further ado we unleashed our wheeled steeds and let them go down the lovely descent into the village of Gayle and over a tiny but beautiful bridge and on towards Hawes. 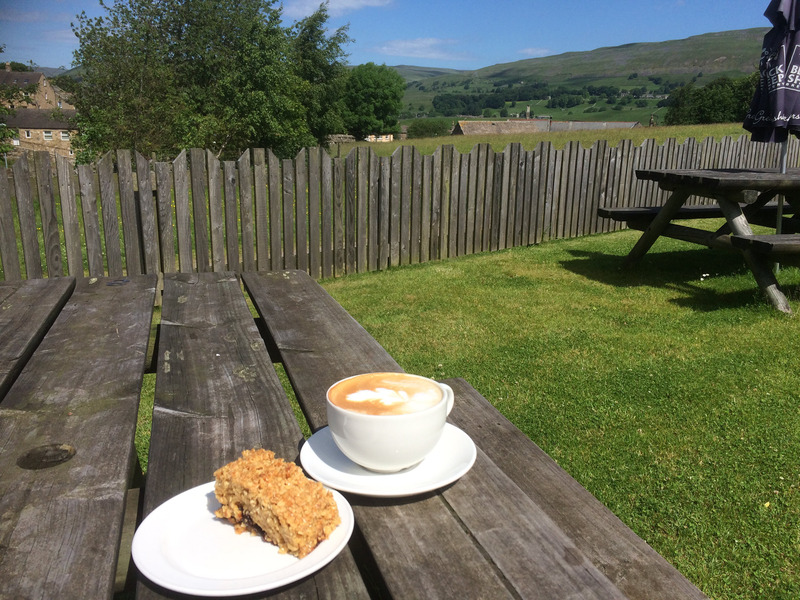 Cafes are a plenty in Hawes but we headed to the Creamery for our first coffee and cake stop of the day in preparation for the next challenge – Buttertubs, one of the climbs of the recent ‘Tour’. Watching the footage of the pros on any of the climbs makes cycling look so easy and these incredibly fit, dedicated athletes earn huge respect as I tackle their ‘molehills’ that are most definitely mountains to my legs. As I slogged onwards and upwards, in last place as always, I was passed by a young fit chap who appeared to be emulating these athletes. Clad in orange lycra with and orange bike to match he had a definite air of superiority as he powered past a huffing and puffing yours truly and quickly disappeared over the horizon. Again the summit rewarded us with spectacular views, this time over Swaledale. 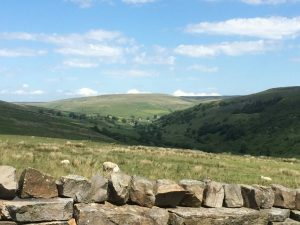 I love the charm of Swaledale with its tiny, characterful villages and fields dotted with traditional barns and divided by our iconic stonewalls. However, and here comes the cautionary bit of the tale (in case you were wondering), I am not sure that Mr Posh Orange bike felt quite the same about this well loved Dale on our second meeting. 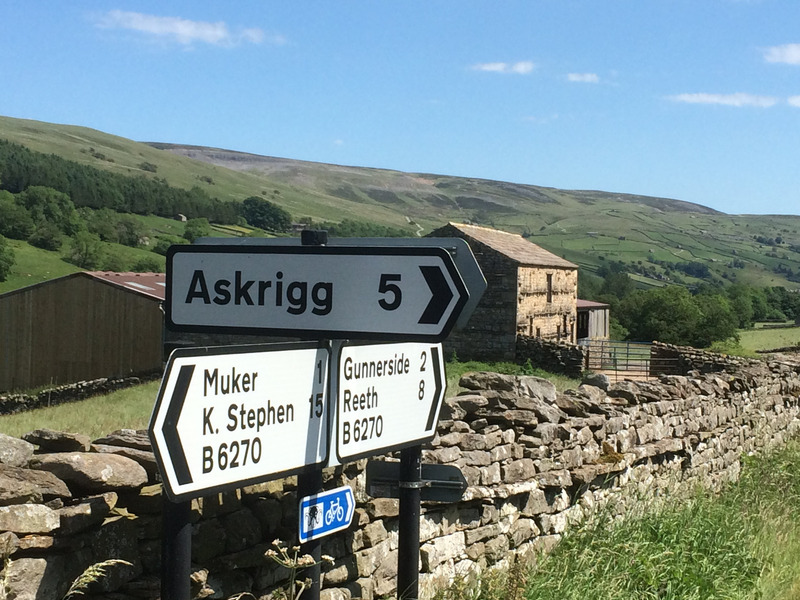 We descended into Swaledale in a rather gingerly fashion and were greeted at the bottom of Buttertubs by an ashen-faced man in orange lycra with a posh orange bike dumped unceremoniously in the verge. At the bottom of the descent the rim on his rear wheel had exploded. Fortunately he had slowed down by the time the incident occurred. Had it happened mid-descent when speeds of up to 50 miles per hour are not uncommon, I dread to think of the result. He announced that he had come from Blackburn and was hoping for ‘a good day out’. His bike was rendered useless; he was 65 miles from home. Imagine receiving that phone call as you were sitting down with a nice glass of Pims and the Sunday paper on the hottest day of the year yet. 65 miles through winding backs roads battling with a procession of vintage motorbikes and cars to rescue Mr Posh Orange lycra man and his now not so posh bike. Breaking on a bike in hot weather can be a dangerous thing. If the rims get too hot the fate of Mr Orange can befall us all. Undeterred, but slightly more mindful of the inherent dangers of speedy cycling, we headed onwards through Muker to Gunnerside where we were flagged to a stop by a couple of enterprising school children earning a Saturday bob or two selling a welcome glass of homemade lemonade to thirsty cyclists and walkers. It certainly hit the spot and helped us on our way through Low Row and Reeth to Grinton where we enjoyed lunch at the Dales Cycle cafe before hill number three – the lesser known climb onto Grinton Moor. I was glad that I had resisted the array of amazing looking cakes as the climb was one of those endless slogs. 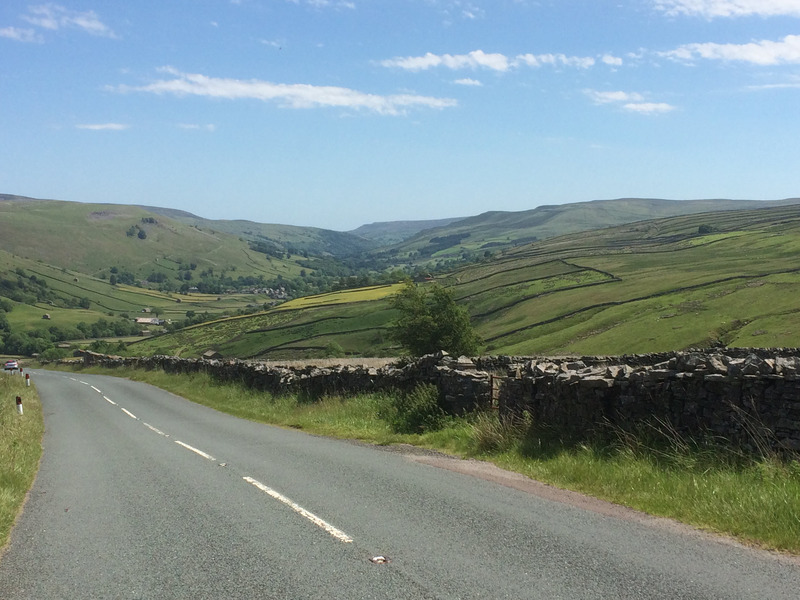 Still, we could see for miles – over into Teeside on our left and into Richmondshire on our right. Taking care with our brakes we enjoyed the descent and towards the bottom took a sharp left which took us into Castle Bolton, overshadowed by the huge crumbling castle walls that reek of history and battles of ages past. From Castle Bolton we headed to Aysgarth Falls, thronged with happy visitors splashing and cooling off in the falls of the River Ure. Rather than going all the way to Aysgarth we took a side road to Thoralby, a blissfully peaceful route bordered by dog roses, fox gloves, and geraniums. An ancient tractor chugged round one of the fields making ‘proper’ oblong hay bales and chattering Oyster Catchers broke the peaceful silence as they frantically caught up on the latest news. Ahead lay our last climb – the hill up Bishopdale. Despite the seemingly calm weather a sneaky head-wind made the climb just that bit tougher and I vowed to train slightly harder before my next trip out. 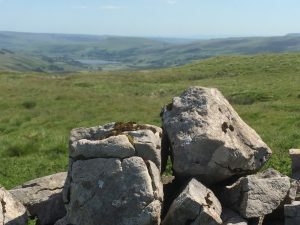 At the top of Bishopdale we looked down over Kidstones and back into Wharfedale where a welcome ice cream awaited in Kettlewell before the last few miles brought us back to our starting point of Hawkswick. 64 miles, four big hills, one sad bloke in orange lycra, four tired legs, and two very happy people, having seen the Dales at their very best and most glad that they hadn’t jetted off to Mallorca for the weekend. Previous PostPrevious Fancy a Bike Ride?